US ISM Manufacturing PMI, rate decision in Australia, the UK and the Eurozone, Employment figures from New Zealand, Australia, Canada as well as important jobs data from the US with the all-important NFP report. These are the major market movers planned for this week. Check out these events on our weekly outlook. Last week, The Federal Reserve ended its QE3 program with a vote of confidence in the US economic recovery. The ongoing improvement in the labor market, the economic expansion and the satisfactory inflation rate has made the decision to end the bond-buying program as almost foregone. Furthermore the advance GDP data released a day later showed the economy grew 3.5% in Q3 slightly better than forecasted, suggesting the US economy is marching forward. Will this trend continue in Q4? US ISM Manufacturing PMI: Monday, 14:00. The Manufacturing PMI declined to 56.6 in September after posting 59 points in August. The reading reached the lowest level since June and analysts expected a higher figure of 58.6.The New Orders Index fell short by 6.7 from the 66.7 release in August, still indicating growth in new orders. The Production Index reached 64.6, rising 0.1 above the August reading. The Employment Index expanded for the 15th consecutive month, registering 54.6, declining 3.5 points below the August reading. Overall the general trend remained positive. Another mild drop to 56.5 is expected this time. Australian rate decision: Tuesday, 2:30. The Reserve Bank of Australia kept the cash rate unchanged at 2.5%, in line with market forecast, but warned against weakening in the housing sector driven by the overpriced housing market. Global growth continued in a moderate pace, despite a recent slowdown in China’s growth. The Bank also cautioned against the strength of the Australian dollar, offering less assistance than would normally be expected in achieving balanced growth in the economy. However the general trend pointed to moderate growth in the coming quarters. No change in rates is anticipated. US Trade Balance: Tuesday, 12:30. The U.S. trade balance narrowed unexpectedly in August to $40.1 billion, reaching its smallest level in seven months. Economists expected a higher deficit of $41 billion. Exports rose by 0.2% to $198.5 billion in August, and imports gained 0.1% to $238.6 billion. Petroleum imports were weak but imports of capital goods soared to their highest on record. The U.S. trade balance is expected to reach $40.1 billion this time. BOJ Governor Haruhiko Kuroda: Wednesday, 1:30. BOJ Governor Haruhiko Kuroda will speak in Tokyo. Japan’s inflation reached to its lowest pace in half a year, drifting further away from the Central Bank’s 2% target. Kuroda may give further explanations on the reasons behind the new stimulus measures issued at the end of October, earlier than expected. US ADP Non-Farm Employment Change: Wednesday, 12:15. U.S. Private-sector employers increased hiring in September, adding 213,000 jobs, according to ADP payrolls processor. The 11,000 climb was better than the 207,000 rise predicted by economists. 88,000 jobs were created from small businesses, 48,000 jobs were created from medium sized businesses and 77,000 jobs were created from large businesses. 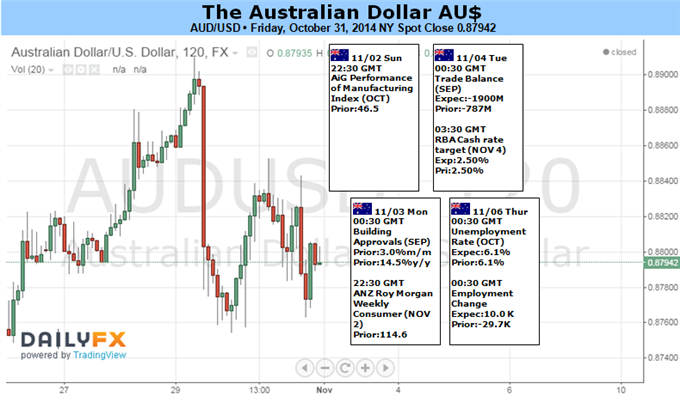 The slowdown in August proved to be temporary after the NFP release posted strong gains. Us private sector is expected to add 214,000 jobs in October. US ISM Non-Manufacturing PMI: Wednesday. 14:00. Non-manufacturing Purchasing Managers Index declined to 58.6 in September, following 59.6 registered in August. The reading was broadly in line with market forecast, indicating that he service sector is advancing more rapidly than the manufacturing sector. Respondents commented that business activity cooled mildly in the past few months after posting strong growth, but they remain positive about the general trend of the economy. Non-Manufacturing PMI is predicted to reach 58.2 this time. Australian employment data: Thursday, 23:30. Australia’s Unemployment rate increased mildly in September amid an unexpected decline in. Australian job market contracted 29,700 jobs mainly in part-time work, lifting unemployment to 6.1% from 6.0% in August. The slowdown in employment coincides with the sharp drop in mining investment. The Reserve Bank of Australia faces a tough challenge whether to raise interest rates from a record low of 2.5% to help reduce rising house prices. However, such a move may increase interest rates could undermine growth and cause unemployment to rise. Australian job market is expected to gain 10,300 positions while the unemployment rate is expected to remain unchanged at 6.1%. UK rate decision: Thursday, 11:00. The Bank of England nine-member Monetary Policy Committee voted to maintain rates at 0.5%, despite rising calls for a rate hike. The BOE’s next move will be strongly dependent on the Eurozone central bank call. The current slowdown in Europe postposes all rate hike plans. Economists expect soft demand from Europe will keep the central bank on hold until 2015. Rates are expected to remain at 0.5% this time. Eurozone rate decision: Thursday, 11:45. The European Central Bank kept its benchmark interest rate at 0.05% at its October meeting, following a 10 bps cut in the previous month. Furthermore, the Bank Policymakers decided to reveal their plan to buy asset-backed securities and covered bonds. These new moves are intended to stimulate financing bodies to expand loans to all sectors of the economy. The ECB also decided to increase its monetary policy accommodation to spur growth. US Unemployment claims: Thursday, 12:30. The number of new claims for unemployment benefits declined again last week, reaffirming the growth trend in the US job market. The 1,000 decline from the previous week was better than forecasted and the four-week moving average, fell again to 287,750, the lowest level since February 2006. Analysts have noted that claims have rarely remained low for such a long period. If the pace of firings will remain low, and hiring will continue, wage is expected to grow in the fourth quarter. The number of new jobless claims is expected to reach 285,000 this week. Canadian employment data: Friday, 12:30. Canadian private sector surged in September amid a job gain of 74,000 positions, the majority in full-time employment. The unexpected increase pushed the unemployment rate down two 6.8% from 7.0%, the lowest level in nearly six years. Economists expected a job addition of 18,700 with an unchanged unemployment rate. The rebound in full time positions indicates a positive trend in the Canadian job market. Canadian private labor market is expected to increase by 400 positions while the unemployment rate is predicted to remain at 6.8%. US Non-Farm Employment Change and Unemployment rate: Friday, 12:30. U.S. employers increased hiring in September with a job gain of 248,000, pushing the jobless rate to a six-year low of 5.9%. The strong figures suggest the US economy is advancing with a steady job growth and fewer layoffs. Economists expected a smaller gain of 216,000 and no changes in the unemployment rate. The employment was broad based but the participation rate dropped to 62.7, the lowest level since 1978 and weak wage growth is another concern the Fed has to address. US job market is expected to gain 229,000 in October with no change in the unemployment rate. 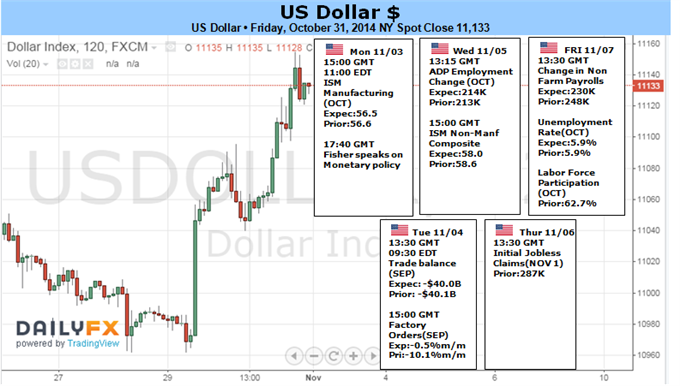 The US Dollar continued to reassert itself in the final days of October, rising for a second consecutive week to produce the largest advance in over a month against its leading counterparts. The move was primarily driven by a comparatively hawkish FOMC monetary policy announcement. The markets were positioned for a dovish rhetorical shift reflecting a desire to safe-guard the US recovery from knock-on effects of slowing growth in the Eurozone and Asia. As we suspected, Janet Yellen and company opted to stay the course, concluding the QE3 asset purchase program and delivering a broadly status-quo policy statement. This makes for a data-sensitive environment going forward as speculation about when normalization will commence continues. Priced-in expectations telegraphed in Fed Funds futures shifted one month forward in the aftermath of the FOMC meeting, with investors now expecting the first rate hike by December 2015 compared with a call for January 2016 prior to the policy announcement. The week ahead will offer ample opportunities for this to evolve further as a slew of high-profile economic data points cross the wires. Needless to say, the spotlight will be on Friday’s Employment report. Nonfarm payrolls are expected to register an increase of 235,000 in October, marking a bit of a slowdown following the 248,000 gain in September. The unemployment rate is seen holding steady at 5.9 percent. Leading surveys suggests that the pace of hiring across the manufacturing and services sectors was unchanged compared with the prior month however. Furthermore, data compiled by Citigroup shows that US economic news-flow has broadly outperformed relative to consensus forecasts since August, hinting analysts are under-appreciating the recovery’s vigor. On balance, this opens the door for an upside surprise. A medley of activity indicators will precede the jobs report, with October’s factory- and service-sector ISMreadings, September’s Factory Orders data and the leading ADP estimate of hiring activity taking top billing. The twin ISM reports may prove most problematic, reflecting a slowdown in economy-wide activity. A dip in the pace of expansion compared with the peaks seen in the second quarter is not news at this point however, emerging leading survey figures some months ago and confirmed in last week’s third-quarter GDP report. The Fed has clearly opted to look past this deceleration and will likely tolerate a steeper slowdown still before adjusting policy considering its steady hand through a far more dismal first quarter. A packed schedule ofcommentary from Fed officials including Chair Yellen will probably help hammer this point home in the days ahead. With that in mind, the greenback looks poised to continue higher (albeit not in a straight line) as firmer jobs data suggests stimulus withdrawal may arrive sooner rather than later. Last edited by 1Finance; 11-01-2014 at 08:31 AM. 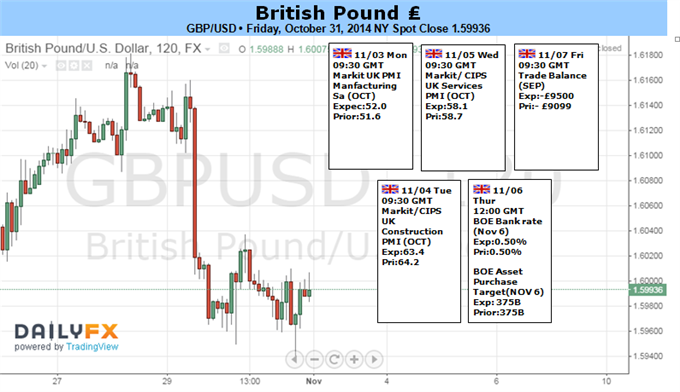 The British pound finished the week notably lower versus the resurgent US Dollar, but a busy week of economic event risk ahead suggests the GBP/USD may see big moves and could very well stage a reversal. Watch for any surprises out of an upcoming Bank of England Rate Decision and/or the highly-anticipated US Nonfarm Payrolls report to drive the lion’s share of Sterling/Dollar moves in the week ahead. Traders are clearly preparing for big volatility across the major FX pairs as 1-week volatility prices have hit their highest since the Scottish Referendum vote in September. We do not expect the Sterling will see the same level of turmoil on a simple BoE rate announcement. Yet we need only look to the past week’s Bank of Japan interest rate decision to see the effects of a truly surprising central bank meeting. Analysts widely expect that the Monetary Policy Committee will leave interest rates unchanged and therefore produce no post-decision statement. To that end we’ll watch earlier-week PMI figures to gauge sentiment ahead of next week’s Bank of England Quarterly Inflation Report. Beyond UK event risk it remains important to watch how the US Dollar and British Pound start the new month. Through September it seemed as though the US Currency was unstoppable as it hit fresh peaks against almost all major counterparts. Yet the month of October brought considerable consolidation. 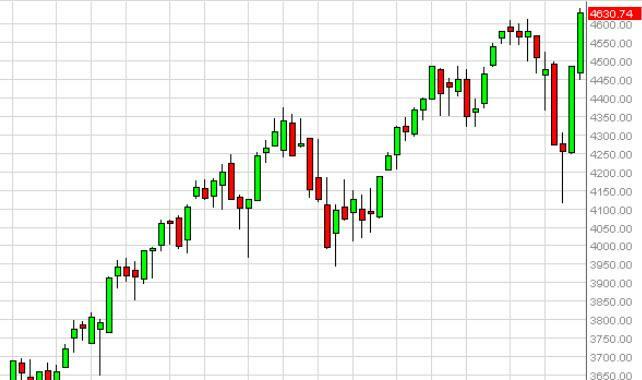 Late volatility suggests that November could produce a material change in market conditions. And indeed historical seasonality studies have shown that major currencies are more likely to see important reversals at the beginning and end of a given calendar period. Let’s watch and see how the Sterling starts to gauge whether a more significant breakdown is likely. The Australian Dollar kept traders in suspense over the past week as it swung at the mercy of its counterparts and broader risk appetite. The coming week will bring a medley of top-tier local economic events including the RBA decision, jobs numbers, manufacturing survey figures, building approvals and trade data. The abundance of domestic releases holds the potential to catalyze plenty of intraday volatility on surprise readings. However, the scope to deliver a lasting impact on the Aussie may be limited amid steadfast RBA policy expectations. The central bank is widely anticipated to once again leave rates on hold when it meets on Thursday. Moreover, recent data suggests the Board will deliver another rehashed statement that notes the need for a ‘period of stability’ for rates. Until we see consistent signs of improvement in the local labour market the Reserve Bank is likely to retain its highly accommodative stance over the near-term. Yet further rate cuts remain off the cards for the time-being, given the need to manage risks posed by speculative lending in the housing market. A lack of fresh insights into policy makers’ thinking is likely to leave the AUD to take its cues from elsewhere. An improvement in general risk appetite may offer the high-yielding currency a source of support. This is amid the concerns over Ebola and slowing growth in Europe being overshadowed by healthy US economic data. Yet implied FX market volatility remains elevated near its October peaks, suggesting traders are anticipating some large swings to occur in the market over the near-term. This in turn detracts from the carry appeal of the AUD. Gold prices plummeted this week with the precious metal off by more than 5.2% to trade at $1166 ahead of the New York close on Friday. The loss mark the largest single day decline since December 19th 2013 with prices now at the levels not seen since April 2010. Strength in the USD, improving US economic data and a fresh round of easing from the Bank of Japan is likely to keep gold prices under pressure with a near-term support structure coming into focus as we close out October trade. The FOMC policy decision was central focus this week with the central bank announcing the cessation of QE operations amid an improving economic backdrop. The accompanying policy statement noted that, “The Committee judges that there has been a substantial improvement in the outlook for the labor market since the inception of its current asset purchase program,” and “Although inflation in the near term will likely be held down by lower energy prices and other factors, the Committee judges that the likelihood of inflation running persistently below 2 percent has diminished somewhat since early this year.” The remarks fueled a substantial rally in the greenback with gold breaking support at $1222 on the move. 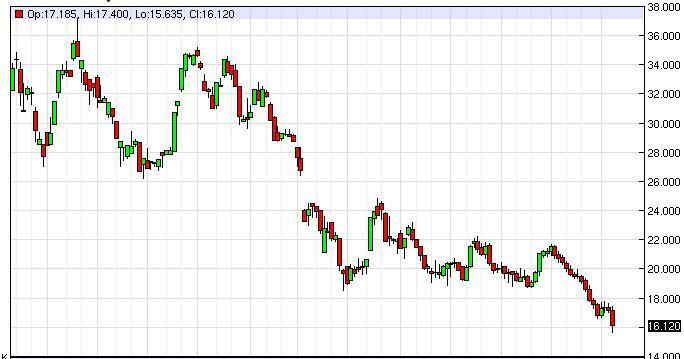 The next hit to bullion came on Friday after the BoJ announced a new round of quantitative easing. The surprise move sparked strength in risk assets with the Nikkei 225 advancing more than 4.8% on the session as gold continued lower into fresh 4-year lows. Looking ahead to next week investors will be closely eyeing the US data flow with ISM, Factor Orders, and the highly anticipated Non-Farm Payrolls report on tap. Although the focus for Fed officials has seemingly shifted more so towards the inflation side, traders will be looking to confirm the central bank’s assertion of a substantiated recovery in the labor markets with consensus estimates calling for a print of 234K as unemployment holds at 5.9%. Look for stronger than expected US data points to continue fueling the dollar rally at the expense of gold. However, although our broader focus remains weighted to the short-side of the trade, near-term an upcoming technical feature around $1160 may offer some support for gold as we head into November trade. Like all of the other US indices, the NASDAQ broke out during the course of the week, and is now in fresh new territories. We broke above the 4600 level, an area that we believe is a longer-term signal to start buying again, and we believe that pullbacks will of course offer buying opportunities as well. There is no way to short this market, it is far too bullish at this point in time, and we fully anticipate that the NASDAQ will look for the 5000 level given enough time. Silver markets as you can see did in fact break down a bit during the course of the week, breaking through the $16 level at one point. However, we do recognize that the market should continue to go lower from here so we feel that selling rallies as the only way to go going forward. On top of that, we believe that the market will probably go to the next large, round, psychologically significant number, the $15 handle. Because of that, we are still bearish and will remain so for the foreseeable future. 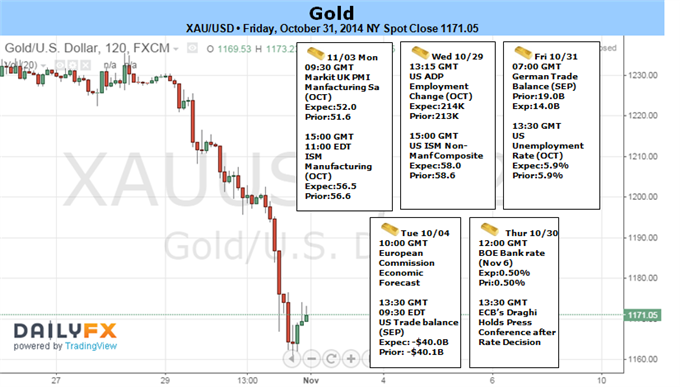 The gold markets fell during the course of the week, slicing through the $1200 level. 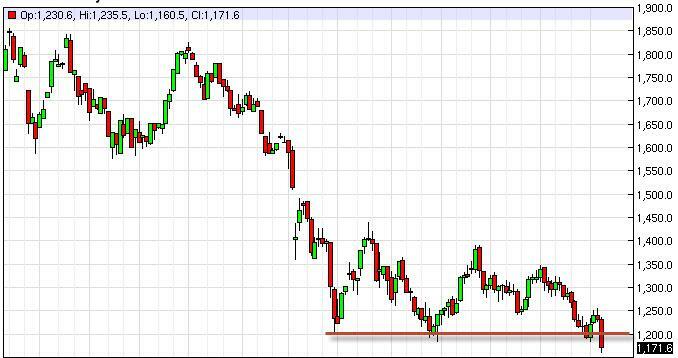 Because of this, it appears that the market is now ready to go much lower, and we anticipate that the gold market will eventually hit the 1000 level. With that being the case, we are sellers and believe that a break of the lows for the week it should be reason enough to start shorting the gold market yet again. We have no interest in going long, and believe that this market will continue to offer trading opportunities to the downside. 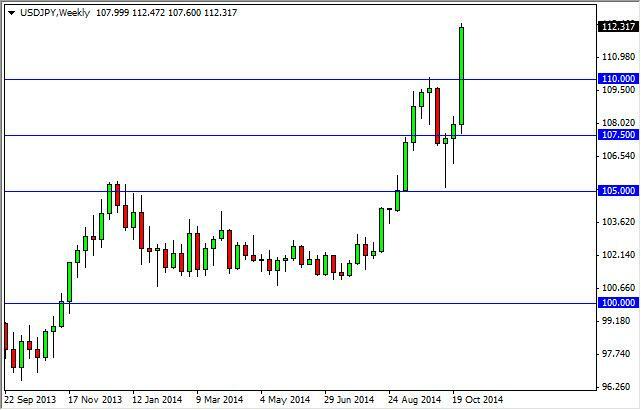 The USD/JPY pair absolutely shot out of the consolidation area like it was being launched out of a cannon on Friday. That being the case, the market has finally shown that it’s ready to go much higher, and now that we have closed above the 110 level, we feel that this market is ready to continue to go much higher, probably heading to the 115 level. That being the case, every time we pullback we feel that the USD/JPY pair will offer value and will continue to be bought. 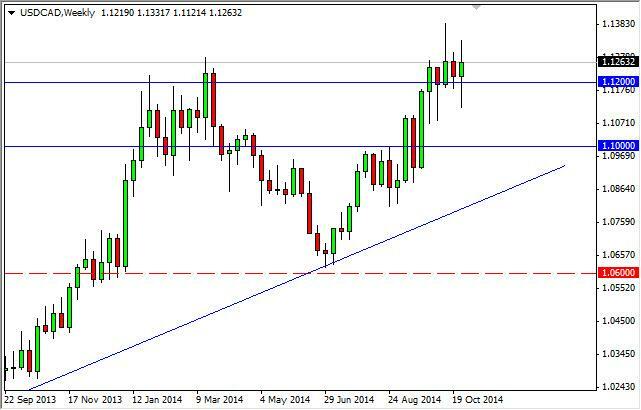 The USD/CAD pair went back and forth during the course of the week, after having a very volatile several sessions. Ultimately, we still sit above the 1.12 level, which of course has been supportive. We like the idea of going long of the pair, but need to see a breaking above the top of the range for the week in order to do so. We also look at pullbacks as potential buying opportunities, which we believe exist all the way down to the 1.10 handle as it is so supportive.